Hu Angang, a leading expert in China studies, was born in 1953 in Anshan, Liaoning Province. 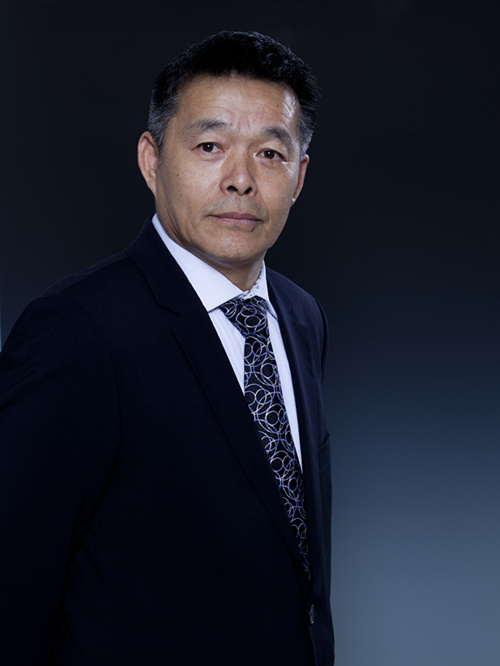 He is a professor from the School of Public Policy and Management at Tsinghua University and director of the Center for China Studies, Chinese Academy of Sciences (CAS) and Tsinghua University. Hu gained his doctorate in engineering at the CAS in 1988 and conducted postdoctrate at the Department of Economics, Yale University in 1991 and 1992. Focusing on Chinese economic development and public policy, Hu Angang compiles an annual review of the country’s state capacity and power status. His major works include China 2030, The Modernization of China’s State Governance, China’s Collective Presidency and Battling for China’s Future. Brexit and the US withdrawal from Paris Climate Agreement signal a trend toward deglobalization. In light of this, the world will be forced to reevaluate global productivity and the relations of production in hopes of upgrading globalization. Hu Angang recently shared with CSST his views on deglobalization forces, China’s role in global governance and possible solutions. CSST: Is the advent of deglobalization an accidental phenomenon or does it represent a structural shift of global system? Hu Angang: I assume it to be a structural shift. A global system led by capitalism does not fit the landscape of 21st century, especially the rise of such countries as China and India. From the perspective of Marxist political economics, global productivity is currently totally out of sync with the relations of production while the superstructure and base are developing unevenly. All these factors suggest the need for a reexamination of global governance patterns and the expansion of involvement. Chinese President Xi Jinping put forward ideas concerning the global order, global democracy and global negotiation, offering the key solutions to inequality and unsustainability to the world. Capitalism has grown into an elderly man who fears innovation and its system has operated for decades. For example, a foreign city might fail to keep pace with globalization because it is too decrepit to reform. Detroit is a victim of mass unemployment. Many developing countries used to follow the example of Northern countries while China frequently drew on the experience of the West. However, some Western states failed to understand China’s introduction of reform and opening up policies, one of the country’s greatest achievements. Unlike revolution, reforms don’t mean repeated injuries of victims that are compensated through measures like the state transfer of payment. And the process also creates beneficiaries. The most prominent thing is the shift of concepts. China emphasize seeking truth from facts and ideas like emancipation of mind while it currently focuses on such development guidelines as innovation, coordination, greenness, openness and sharing. But a massive number of countries remain unchanged in a long time. Every country involved can share the fruit of the shared development pattern and promote it together. It is a typical form of socialism because it compensates the victims. For example, China has put a total of 60 million laid-off workers of State-owned enterprises back to work through re-employment without stigmatization. Foreign countries can adopt such measures to reduce mass employment brought by deglobalization. The core issues of people’s livelihood must be addressed. CSST: How will the wave of deglobalization develop in European countries and the United States? Hu Angang: It is difficult to anticipate its prospects. What can be sure is that emerging states are all willing to participate in global governance, which can be seen in their active involvement in China’s “Belt and Road” initiative. The world landscape in this century is totally different, but the 2008 financial crisis was akin to the 1933 Great Depression, which was ended by the World War II. We have sought opportunities, but there are many challenges as well. For example, Chinese Premier Li Keqiang, in the government work report, proposed supply-side reform and expansion of domestic needs mainly concerning consumption, infrastructure and private investment. There is room for China to increase its domestic demand. Our opportunities lie in the demand shifting from material goods to services as well as development of such sectors as senior care and fitness. CSST: The United States and some Western countries who advocated globalization have begun to adopt protectionism, and there is a leadership deficit in global governance. What opportunities will China have in this field? What role will it play? Hu Angang: A global leadership deficit doesn’t exist in the Southern countries. It is a problematic issue in the Northern countries. The Northern countries need to create governance space for others by reforming vested interest groups. China’s proposals have proven effective. It should propose new ideas and solutions facing the new form of globalization. In 2017, Premier Li Keqiang has claimed in the government work report that China will make continuous efforts to boost free trade and investment and make them more convenient. Since its entry in the WTO in 2001, China has increasingly integrated with the world economy. It benefited from economic globalization and became a growth pole while shaping the architecture of global trade, investment and economy. Also, the country shoulders global responsibility as a participating governor of the world system. It has entered an era of a “new normal” while continuing to expand its role as an advocate for globalization. China has entered the spotlight of the world economy, calling for the openness and emphasizing broad involvement, comprehensive cooperation and well-rounded improvement. It will keep striving to be a mature, responsible and attractive country that facilitates the construction of a global governance system. The country can be considered a shaper, participant, builder and reformer of global governance. A reformer doesn’t mean a revolutionary, because China has no intent of overthrowing the existing global system. All it seeks to achieve is greater openness to the outside world. CSST: What ideas and solutions will China provide to reverse the wave of deglobalization and establish a better system of global governance? Hu Angang: I predict that mankind is about to embrace datong, a world of universal harmony, by 2030 which will take the form of a huge leap by Southern countries and a great transformation of the global economic development model as well as energy and employment structure. Also, the landscape between Southern and Northern countries will remarkably shift as they share increasingly similar development paths. To make the vision a reality, people need to overcome the overemphasis on the elites and Northern countries along with the sentiment that mankind is destined to conquer nature. Instead, a future of common affluence, common prosperity and independent relationships should be advocated. China has made remarkable contributions to human development in the 21st century. In other words, it will act as a leading country of world development, aid and great transformation. I assume them to be excellent Chinese ideas and solutions whose implementation touch upon wide-ranging aspects, because the flow of globalizing elements is relevant to economics, trade, services as well as technology, culture and the talent. First, an improved export tax rebate mechanism is required to further considerably reduce tariff, expand import trade, turning China into a market state with larger scale and greater openness. Lower tariffs mean equal attention to the sovereignty of producers and consumers because both of them deserve protection. Such measures will lead not only to a domestic consumer surplus but also a global producer surplus. The adjustment of Chinese policies will exert massive impact on export services and trade. For example, Chinese citizens can directly have their consumer goods from overseas mailed without having to take weighty luggage with them if China can collect zero tariff for individual consumption. Also, China should become a global innovator of technology. Globalization involves not merely economy but also technologies. In the most recent financial crisis, European countries and the United States fared the worst in terms of R&D and patents. It was totally unexpected that those who failed to increase investment in R&D now frequently transfer the work to China. In circumstances like this, China is a contributor to global technology as its R&D and products are conducted and made on a global basis. Meanwhile, China is far more developed in terms of the number of patents. Chinese citizens have applied for 968,252 patents in 2015 while those of the United States and EU respectively are 288,335 and 99,418, according to the World Bank statistics. Successful application is only a start. China should explore ways to commercialize these patents in the near future. China can also fuel globalization of tourism and services. For example, China becomes the powerhouse of the global tourist market amid stagnation in the sector. The agreements for mutual visa exemption or simplified visa procedures between China and more than 100 countries or regions have been a boon to the globalization of tourism. In addition, it is high time for Chinese corporations to go global as many of their products are sold worldwide, but the challenge is posed by the lack of services. We expect to increase foreigners’ understanding of China by providing them with excellent Chinese products, brands and services. In this way, Chinese production standards can be globally adopted, and Chinese brands and services can become popular throughout the world. This is a process that a country must go through to achieve greatness.